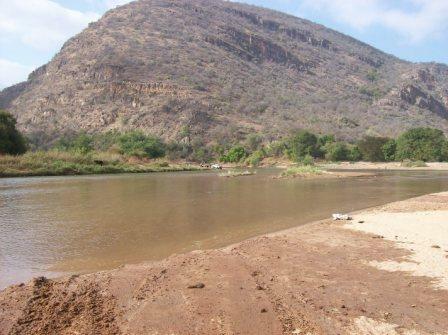 Seeing that a number of African (SA) members have expressed an interest in playing with their D3s in sand, I intent to do a recce on one of the rivers in the Burgersfort area. I have been told that a good place to test a vehicle's sand capability is Krom elmboog (a river bed stretching for kilometers). Different sand conditions (dry, wet, at inclines, etc.) can apparently be experienced here. Locals that regularly visit the area have assured me that you will get stuck (even in a D3). Ideal for practising recovery. I will do the recce in September, post info and pics and if there is interest start arrangements for a tea party. Defender TD5 110 CSW '00. "With everything"
Looks good - when you're doing the recce ? Recce planned for early September (5th or 6th or both depending on the amount of recovery that will be required). You want to come along? Do you think we will get "pass" two weekends in a row? I guess its worth a try. Would love to join you but will have to make do with Tunisia!! Still willbe good to be on the same continental plate as you folks.